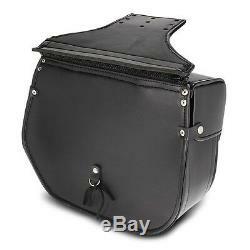 Saddlebag for harley davidson heritage softail special (flstn) black kentucky. Object number: 448470 / 406496-023. 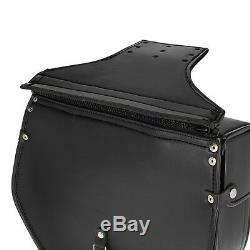 Side bag for custom motorcycle, cruiser and chopper. 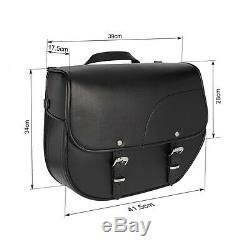 Motorcycle bag of high quality and very stable, made of artificial leather of 7 mm thickness. Water repellent coating ensures firmness in extreme weather conditions. Couture and upholstery leather first class. 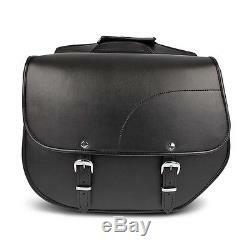 Elegant and very attractive design. Adjustable center bar included for easy mounting under the passenger seat. Volume: about 30 liters (total). 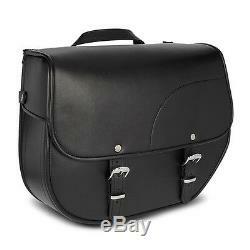 Dimensions: width of 41.5 cm, front height of 34 cm, rear height of 28 cm, depth of 17.5 cm. 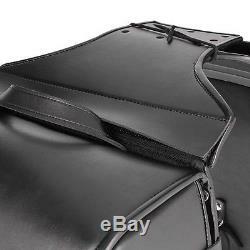 Scope of delivery: 2x motorcycle bag, 1x central panel with zipper. 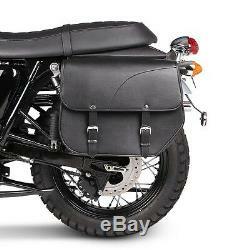 Important: Please note the height of the saddlebags. Measure the distance between the passenger seat and the top of the exhaust. A minimum distance of 39 cm is required, including the safety distance. 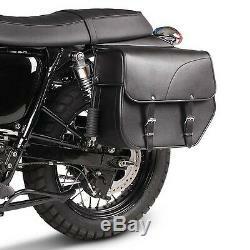 The safety distance between the saddlebags and the exhaust must be at least 5 cm. 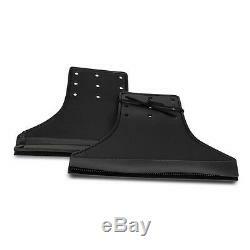 Regarding the product offered, it is only an accessory or a spare part, and in no case an original product of the manufacturer of the vehicle. On the manufacturer's mark an indication shall be affixed clearly indicating the destination of the product offered as an accessory or spare part. This makes it possible to identify to which type of vehicle the product proposed is intended. 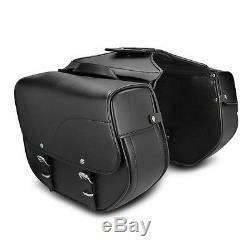 The item "kentucky saddle bag for harley davidson heritage softail special 93-96" is on sale since Saturday, May 6, 2017. 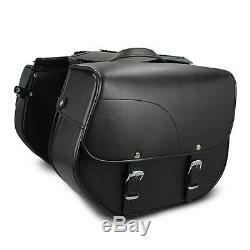 It is in the category "auto, motorcycle parts, accessories \ motorcycle \ accessories \ luggage \ saddlebags, side cases ". 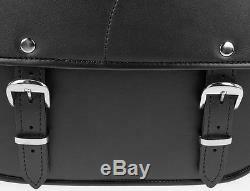 The seller is "motea-france" and is located at / in nrw.